Well, it finally happened. Everyone knew a Retina iMac was inevitable, but no one knew exactly when it would debut, or how many pixels it would boast. Guesses ranged from resolutions slightly below 4K, all the way up to 6K. The truth ended up somewhere in the middle. The announcement of the 5K iMac with Retina Display has been met with the usual mix of excitement and cynicism. Hands-on impressions conclude that it’s beautiful, but skeptics wonder if anyone should care about the extra pixels. In this case, cynicism should be put aside. The 5K display is truly a marvel. At first glance, it’s easy to understand why 5K might not sound that impressive. One might even wonder if it’s a marketing gimmick. I mean, 5K is just one more K than 4K. Is it really better? Remember, a screen is a rectangle. Adding pixels along the horizontal and vertical axis does not create a linear increase in pixel density. Moving from 1080p to 4K (aka 2160p) almost quadruples pixel count from 2,138,400, to 8,294,400. The new iMac’s 5K display has 2880 vertical pixels. That means it contains 14,745,700 pixels in total, the most ever available in a monitor. Amazingly, the previous record holder, IBM’s T220/T221, offered 3,840 x 2,400 resolution back in 2001 (though it arguably was not a consumer-oriented display). We first heard about panels with 5,120 x 2,160 resolution when Dell revealed its upcoming UltraSharp 27 5K monitor in early September. This announcement was a surprise, because no panel manufacturer had announced the availability of a 5K panel. Enthusiasts were forced to wonder if the design used a single panel, or two panels bound together by firmware. The latter approach was used by early 4K monitors that didn’t work particularly well. Adding more pixels allows the display to produce fine details that lower resolutions would hide. 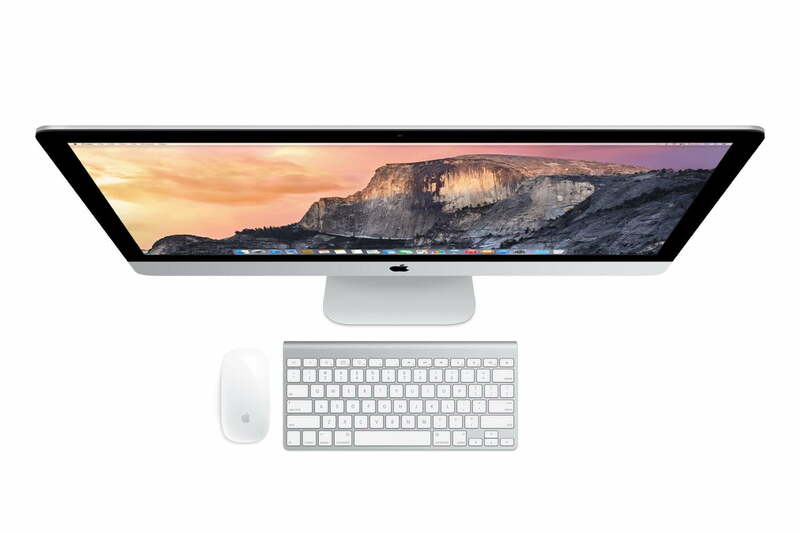 The mystery is now solved, as Apple confirmed to Anandtech that the Retina iMac has a single display controller. Someone is building 5K panels. They’re apparently not building controllers to handle it, however, as Apple had to design its own custom timing hardware for the screen. Resolving that panel mystery creates a new one, however, because DisplayPort 1.2 supports a maximum uncompressed resolution of 3,840 x 2,160 at 60Hz. How, then, can Apple drive a single 5,120 x 2,880 panel? We don’t know for sure, but the answer consists of a custom solution that’s based off DisplayPort. That’s certainly within the realm of Apple’s capabilities, as the company has experience designing connection standards, and even its own processors. A modified, overclocked version of DisplayPort 1.2 might be able to provide enough bandwidth. The iMac with Retina Display could even be using an early implementation of DisplayPort 1.3, the new standard that VESA released barely a month ago. Whatever the case, Apple’s full control over its hardware and software provides some leeway. There’s no need for the company to fully comply with DisplayPort standards in its own hardware. The only issue lies with connectivity when it comes to external devices. This may lead to disappointment for fans hoping that the 5K display might be useable with other Mac hardware. 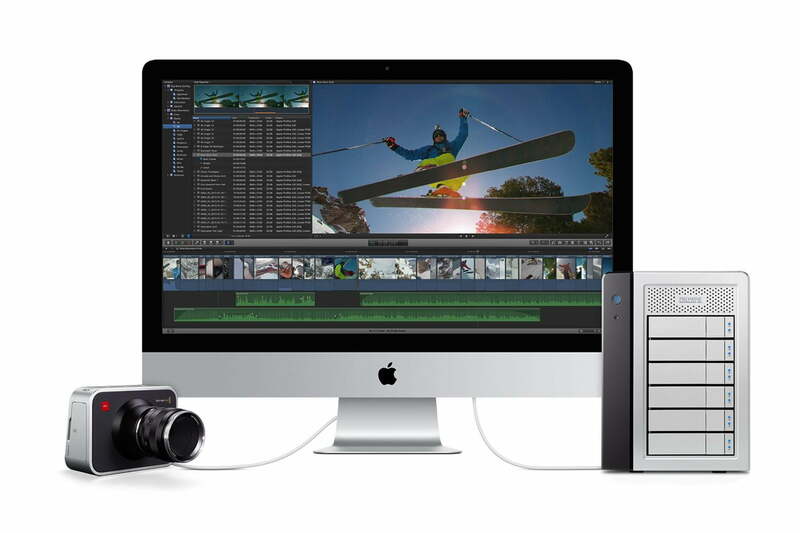 Apple’s specifications state that the new Retina iMac supports inputs with up to a maximum of “only” 3,840 x 2,160. The custom solution that Apple has designed to push over 14 million pixels isn’t accessible by external devices. If you’re waiting for Apple to build a 5K Thunderbolt Display, don’t hold your breath. It’s not coming until display standards catch up with Apple’s hardware. Adding more pixels allows the display to produce fine details that lower resolutions would hide. 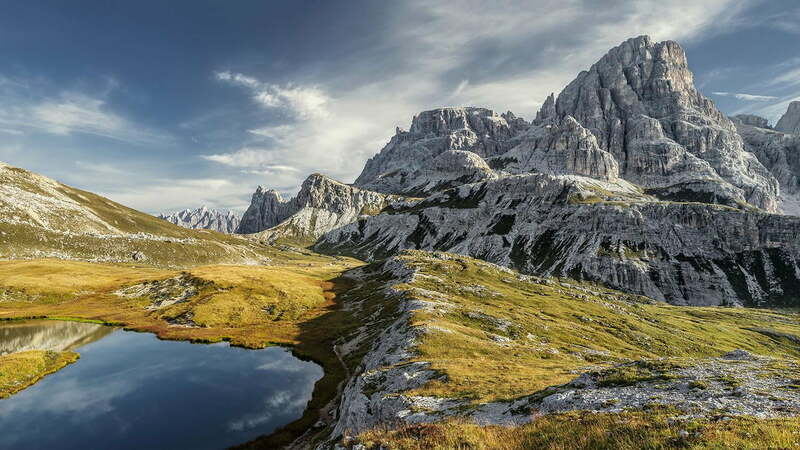 Apple’s promotional website for the Retina iMac cleverly provides an example of this, featuring a scrolling intro page that starts with what seems like a full-page image, and then zooms out to show it in full (simulated) 5K glory. The 5K Retina display on the new iMac is the Ferrari of computing. This is of obvious use to photographers, movie editors, digital artists, and other creative professionals. Rendering stuff at higher resolutions means the iMac with Retina Display can deal with content that’s frustrating to edit on ye ole’ 1440p monitor. But there’s more to it than that. We could drone on, but instead we suggest that you simply take out your smartphone. Most top-tier Android phones, and all Retina iPhones offer at least 300 pixels per inch. The best commonly owned example, Samsung’s Galaxy S5, offers 432PPI. A 28-inch 4K monitor, by contrast, has a mere 157PPI. That’s a big difference, and it’s one that you’ll notice if you place your phone next to your monitor. At that distance, a 300PPI phone will look like a printed photo, but a 4K monitor isn’t quite that fine looking. Having reviewed several 4K displays, we can assure you that individual pixels are still detectable at a normal viewing distance of about two feet. Even 5K won’t be perfect when viewed critically by a person with excellent vision, but its 218PPI is closer to ideal. In short, the 5K Retina display on the new iMac is the Ferrari of computing, and buying a display of better quality offers a more immediate benefit than any other upgrade you can make to your PC (except, possibly, switching from a mechanical to a solid state hard drive). Apple’s focus on display quality is absolutely the right move to make, because it provides a more tangible improvement in the overall computing experience than a quicker processor, a bigger hard drive, or more RAM does. Increasing resolution isn’t all sunshine and lollipops. Scaling content up to fit the display is always a problem, and the larger the jump, the bigger the problem becomes. In a way though, this becomes an advantage for Apple. OS X has enjoyed expanded scaling options since the release of Mavericks 10.9.3. Apple also mandated that developers submitting to the Mac App Store should design with Retina in mind all the way back in 2012. That gives OS X a big advantage over Windows. The fact that Apple builds its own hardware is an advantage too, because it can pick panels that cooperate with its earlier products. The 5,120 x 2,880 pixel count of the Retina iMac simply doubles the 2,560 x 1,440 pixel count of “regular” 27-inch iMac. Scaling is more straightforward as a result. What all this means is that icon, text, and UI elements will look great on the Retina iMac. Even legacy applications that haven’t been updated with Retina support should look reasonable, though some softening will occur. The only commonly used service that will reveal the problems of 5K is YouTube, and other streaming video sites. While 4K and 1440P are supported by the service, most videos are available in 1080p, and a surprising number still max out at 720p. Combine that with the compression inherit to streaming video, and you have a recipe for muddy image quality. With that said, it’s not a problem that’s unique to the iMac. Windows users on a 4K display face the same problem. Apple’s 5K display is an incredible piece of engineering that uses cutting-edge technology and techniques to provide an experience that’s literally unavailable anywhere else, and will remain so at least until Dell releases its upcoming 5K monitor. Even the $2,500 MSRP is surprisingly tolerable. That’s a lot of money, but it’s the same price Dell has quoted for its monitor, which doesn’t include a computer to go along with it. The iMac with Retina Display offers innovation that can make people excited about computers again. Unlike a faster processor, which may or may not feel quicker when running everyday apps, the benefit of an Ultra HD display is instantly and constantly noticeable. The only problem with the Retina iMac is the fact that the display is tied down to the iMac itself. It can’t be enjoyed with any other hardware. Unfortunately, that won’t change until connection standards catch up with the resolution revolution. Could Ford's 2015 F-150 SEMA big-tired off-roader win 5th straight 'Hottest Truck'?